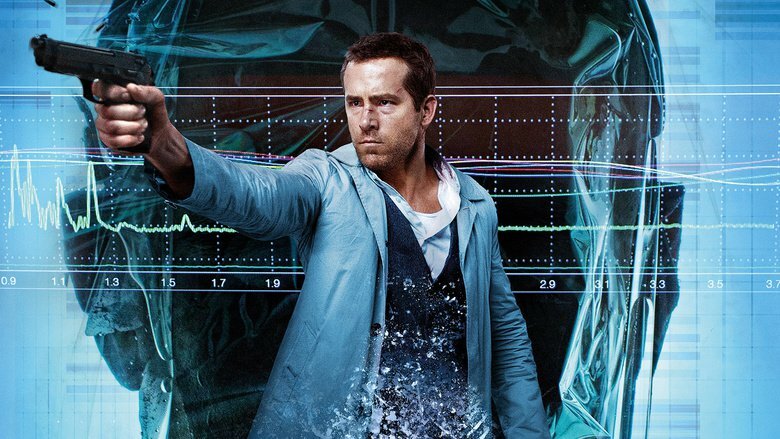 I'm sure if Donald Trump were a film critic --- like he is about everything else --- he'd give high praise and five stars for Self/Less, a movie that some allege is a provocative psychological sci-fi thriller. I'm not sure why, unless whoever defines this picture as such is only doing it with a feeble hope it might stimulate box office receipts. But it certainly had no stimulative effect on me. “Why Donald Trump,” you might ask. Well, Sir Ben Kingsley has just barely more than a cameo in the first act of Self/Less. His name is Damien, hmmm. And he is as wealthy as a man can get. He soon finds that he has terminal cancer. But it doesn't take anytime at all for Damien to get wind of a process known as “Shedding,” that will, for the right (very large amount of ) money, transfer a person's essence into the body of a younger human being which has already expired. That's where Ryan Reynolds comes in. He plays Damien's new body with all the issues that surge throughout Damien's physique that you got to know during the short while Kingsley is the camera's principal focus. Many have perked up to this scenario for having seen and likely been creeped out by the very creepy black and white movie called Seconds, starring Rock Hudson. It's been said that Hudson believed in that film he gave his best performance. No such luck for anyone in this semi-creepy picture that also stars Matthew Goode as … yes … you guessed it, the very creepy techie nerd guy wearing glasses who is, I guess you might say, the Head of Shedding for a covert bunch who will do nasty things if any of what it does goes public. But what's inside old Damien deeply conflicts with what's gone before in the shorter life of young Damien, especially with regard to family. Old Damien has an adult daughter who's gone lefty activist in reaction to her father's … shall we call it (?) Trump-ness. Young Damien has a wife and a sweet little daughter who turns in the best job of acting in the film, along with Kingsley. I think the family stuff with young Damien is supposed to make Tarsem Singh's movie into a family picture … sort of. Then the “Bad Guys of Shedding” show up and attempt to make Self/Less into a 007 flick without any high-powered European autos for speedy chases or sensuous women with last names like “Galore.” Those speedy chases in this movie, by the way, are mostly in SUVs or unglamorous limos. Moreover, any females having any similarity to the likes of Honor Blackman were definitely not on this set. Singh's film gives a false reading for being a good one to see with Kingsley, Reynolds and Goode at the top of the roster. All three have been in movies of high quality. I guess they needed extra work at the time. So now, it's easy to understand why Donald Trump would enjoy this motion picture. If Trump would go to a cineplex in New York City and watch Kingsley as old Damien in action; and then who gazes out a large bay window from his exquisite living quarters onto those stubby skyscrapers that dot the Big Apple, The Donald would be blowing his trumpet loud and long for Self/Less being Best Picture of the Year. You see, Mr. Trump is an exceedingly high class kind of fellow. Heck, Sir Ben even comes through with an accent that's much like El Donaldo's. That should bring in a few extra patrons. The only thing that cheered me up about this flick is that Sir Ben plays his character as he usually does: sans hair on the head. Is there any chance that Trump will do the same as his political career goes forward in the wind?